Location, Location, Location! 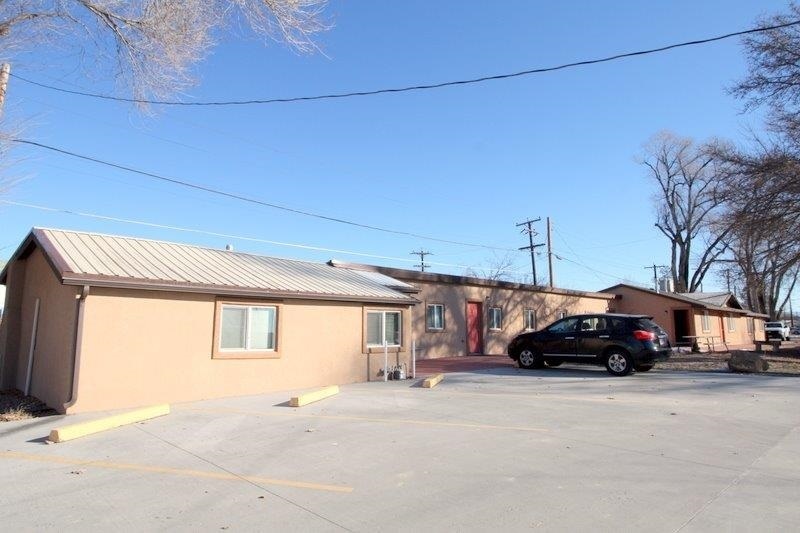 Zoned DMU ( Downtown Mixed Use) This property consists of 3 parcels of land. Has access from Aspen Ave, Coulson Street and Willow Street. 5 studio apartments, 1 laundry room and 1 commercial building. All apartments are fully furnished ( inventory list provided). All leases are on a month to month basis. Owner pays all utilities with the exception of water for the commercial building ( it is added to the rent). Completely remodeled/updated in 2013 and well maintained since. Within walking distance to community center, medical, shopping, dining and all the great Fruita activities. ( Festivals, music in the park, farmers market, bike races and 5/10 K races) With bike/walking trails, outdoor adventure as well as the great downtown area, it is no wonder that people are drawn to Fruita. Your opportunity to own your own business or follow your dreams. DO IT!